The London E2 area is steeped in rich history and is quickly becoming a popular London postcode for people to live and work in. In recent times, E2 has seen a huge number of wealthy people move to live and work within the area because of its regeneration and strong transportation links. 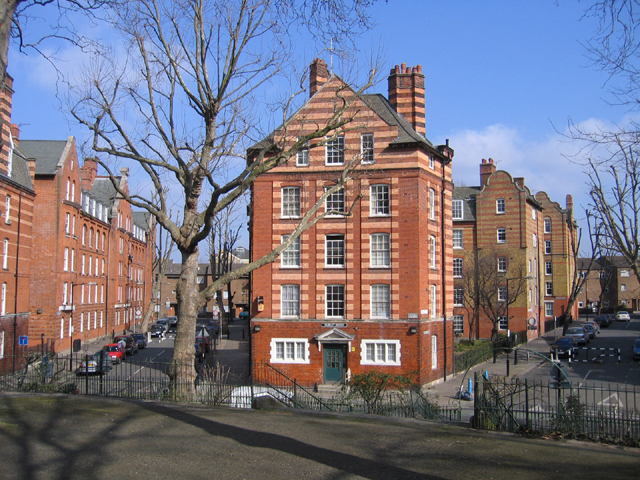 The E2 postcode features a wide range of restaurants, bars, clubs and attractions, including the Rivington Place art gallery, Geffrye Museum and the	V & A Museum of Childhood. It also incorporates parts of Shoreditch, whilst being close to the Old Street and Hoxton areas so people who live in the E2 area can easily reach top attractions available in neighbouring regions. London’s E2 postcode is made up of four different areas: Bethnal Green, Cambridge Heath, Haggerston, and a part of Shoreditch, with Bethnal Green being the biggest and most historical of all the E2 districts. The E2 postcode area has a strong connection with boxing, with Daniel Medoza	the champion of England (1792-1795) living in the area for around 30 years and to this day the E2 postcode hosts notable boxing matches in York Hall. The London E2 postal code is also famous for its historical connection with the silk industry. Globe Town to the east of the area was born in the early 1800s in order to provide work and homes for the ever growing number of weavers and companies who were moving into the area. The population of E2 increased dramatically between 1801 and 1831 but unfortunately stalled near the 1860’s after the decline of the silk industry. In 1900 the E2 area featured the world’s first council housing after the Boundary Estate opened near the border with Shoreditch. The houses were designed to help the poorer people in society afford a place to live in the ever growing expensive London property market. Perhaps the biggest and most devastating historic event that happened within the E2 boundaries occurred duringWorld War II. On the night of 3rd March 1943, 173 people sadly died after an air raid siren caused panic at the Bethnal Green tube station. Over 300 people tried to make it down the tiny stairway in the dark when a woman tripped and caused hundreds of other people to become trapped. Up until 1946, it was reported that the people died because of a direct hit by a German bomb. Today, there is a plaque at the station which remembers those who died and commemorates it as the worst civilian disaster of World War II. The London E2 postcode is extremely close to the heart of London and with its excellent transportation links it’s quickly becoming a popular place to live and work. The area features a number of gorgeous buildings which have survived and taken inspiration from the properties around when the prosperous silk industry	was in full flow. E2 also features a range of parks and recreational areas such as Victoria Park, Haggerston Park and	Shoreditch Park. E2 is a brilliant place to live if you love shopping! The historic and famous Broadway Market	is located here and offers a wide range of shops, cafes and restaurants as well as a weekly farmers market. The neighbouring Islington, Old Street, Shoreditch and Hoxton areas also offer a wider variety of shops to browse as well as other wine bars and pubs. The Haggerston area of the E2 postcode is particularly popular with students and workers in the creative industry. This is because of its close proximity to Hoxton and Shoreditch and the high number of art galleries in the east of London. It’s no surprise that the famous poet and playwright William Shakespeare	lived close to here! However, due to the lack of secondary school places available in the E2 area the number of families is relatively low. The London E2 postcode features excellent transportation links, the >Bethnal Green tube station offers access to the tube network and the Central line. Its overground rail services use the Bethnal Green, Cambridge Heath andLondon Fields stations which all run to Liverpool Street Station. Properties in the E2 postcode range from Victorian houses and canal side developments to ex-local authority houses and council flats. The area features a diverse population that includes a range of religions and budgets; the vast range of properties in the E2 area represent this. If the E2 postcode has captured your interest, our site has a range of featured developments for you to browse at your leisure. Here at base, we have excellent knowledge and experience as an estate & letting agency which deals in properties within the E2 area and surrounding regions such as Hoxton and Shoreditch. Whether you’re looking to rent or buy accommodation in the E2 area please contact us and we’ll be happy to provide you with all the assistance you’ll need.